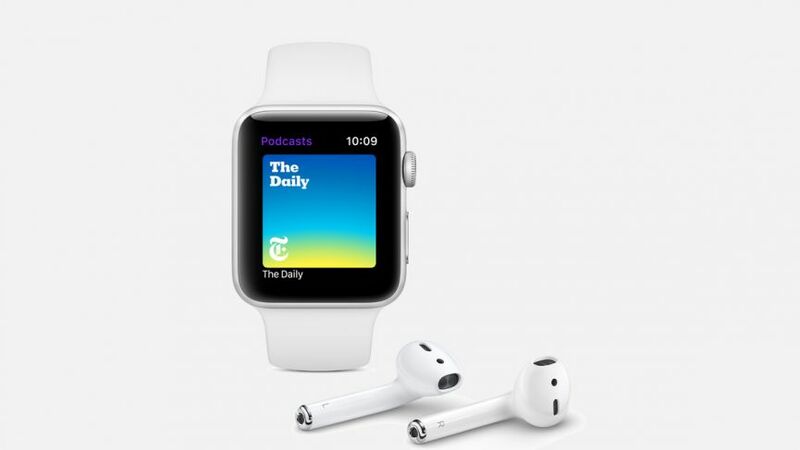 Apple’s watchOS is the most polished wearable operating system we’ve seen, and watchOS 5 – set to land on 17 September – focusses heavily on fitness and communication. The ultimate goal here isn’t just to help people get as fit and healthy as possible, it’s to be able to deliver information as seamlessly as it can. After all, smartwatches are best when used for quick, lightning-like bursts of information. watchOS 5 will be available for the all-new Series 4, naturally, but those with a Series 3, Series 2 and Series 1 can all get involved, too. Like with watchOS 4, those with an original Apple Watch sadly miss out. 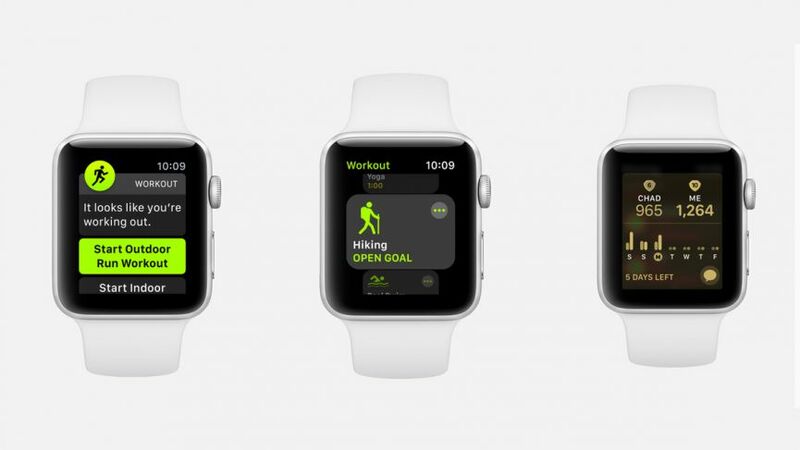 In the realm of fitness, the big new feature here is automatic workout detection. However, it’s not exactly the automatic detection you’re used to. The Apple Watch will sense what kind of workout you’re doing, but it won’t automatically start tracking it without you doing anything. It’ll send you a notification telling you that it thinks you’re working out, and it’ll remind you to start the tracking. Once you do so, it’ll give you retroactive credit for the amount of workout you’ve already done. Similarly, if you forget to end a workout it’ll prompt you to do so. As for actual workouts, the two new big ones are yoga and hiking. Yoga’s algorithm is built off your heart rate, while hiking takes pace, heart rate, and elevation gain into consideration. As for the current workouts, outdoor running is wildly popular so Apple has made several improvements in this area. Outdoor running now has support for rolling mile paces, so you can see your progress from your previous to current running pace. There’s also a custom pace alert, which will let you know when you’re above or below the pace you set. There’s cadence support too, so you can see your steps per minute, which is available for indoor runs and both outdoor and indoor walks. Kevin Lynch, Apple’s vice president of technology, said one of the most popular parts of the Activity app is sharing. So Apple is doubling down with competitions. You can challenge any of your activity-sharing friends to a seven day competition. You get a point for each ring you close, and you’ll be able to check your progress between you and your friend every day. At the end, the winner gets an award. Apple is looking to improve the communication powers of the Apple Watch, but it figured that phone calls and messages may be too intensive a lot of the time. 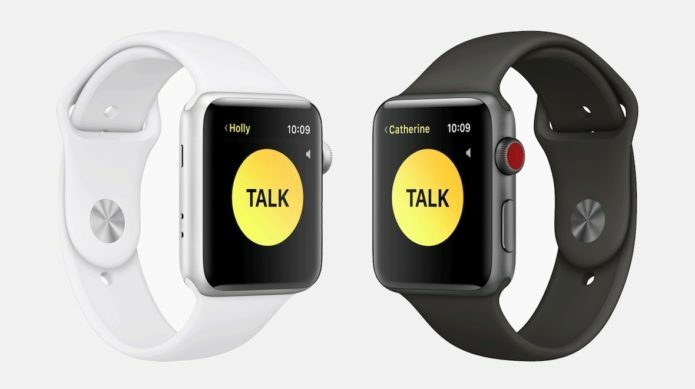 Talking on your watch is something of a battery drain and messaging takes a while, so Apple is opting for something a little more seamless: a walkie talkie. 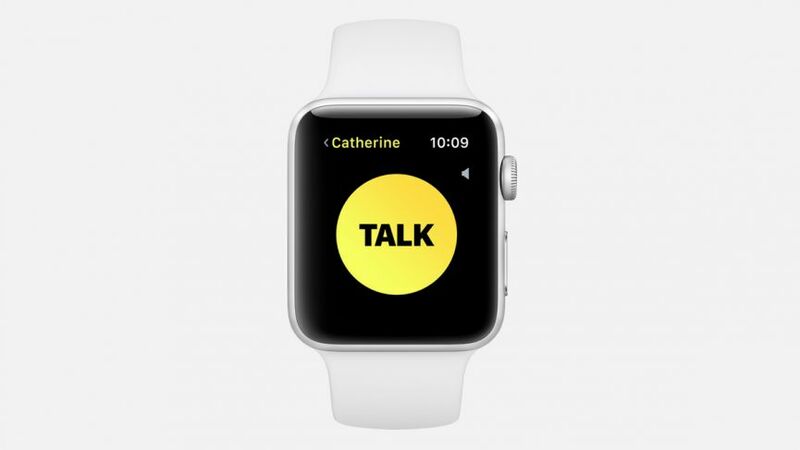 The new Walkie Talkie app is exactly as it sounds. You’ll be able to choose a person you want to use Walkie Talkie with, which will send them a request. If they accept, you’ll be able to talk to them at any time. It’s clear this feature is best for the closest people in your life, like your immediate family. Before a voice comes through on your Watch, you’ll get some haptic feedback and hear that familiar walkie talkie beep. Then your buddy’s voice will pop through the Apple Watch’s speaker, ready to talk to or annoy you. It’ll be available on every Apple Watch supporting watchOS 5 (so all save for the original) and will work over both cellular and Wi-Fi. Another way Apple is looking to make Watch a more seamless experience is with interactive notifications so that you’ll be able to complete tasks without having to jump into individual apps. For instance, you can use Apple Pay to pay within a notification. Or, a Yelp notification will let you change your reservation. Oh, and if you’ve ever been annoyed that your friend sent you a web link in Messages and all you got was a prompt to open your iPhone, you’ll be happy: WebKit is getting watchOS integration, so you’ll be able to actually see that linked content on your wrist. You won’t be able to see full websites, but for menus and articles it’s good enough. Apple has made several improvements to Siri, and most of them are in the Siri watch face, which has become one of our favourites. Using machine learning, Siri will now be able to serve up more information based on what you’re doing. For instance, it’ll show you your heart rate after a workout, commute time via Maps at a certain time in the day or sports scores if your favourite team is playing. Third-party apps will also be getting integrated into the Siri watch face, so you’ll be able to see your Nike+ Run Club runs or Citymapper routes when you need them. These will be integrated right into the face, so you can see your Nike+ Run Club runs or see your Citymapper routes. 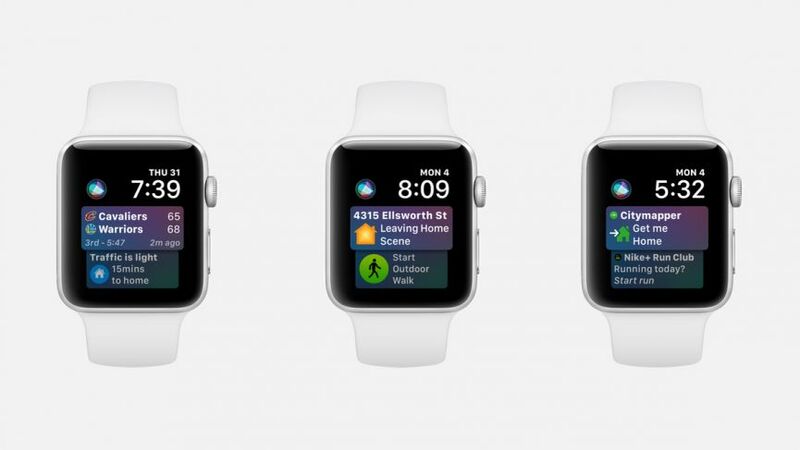 Speaking of Siri, say goodbye to “Hey Siri” on the wrist. Lynch said the call phrase was essentially redundant as people needed to raise their wrists, say “Hey Siri” and then give their request. So now you’ll just need to raise your wrist and say your piece. The Podcast app has been one of our most requested features for watchOS 5 and we’re finally getting it. With watchOS 5 you’ll be able to listen to your favourite shows on the go, and this will all sync up with your iPhone and Mac, so you can pause halfway through an episode on one device and pick up on another. Plus, developers are getting new tools for background audio. Music, audiobooks and meditation sessions from apps like Pandora, Audible and more will be able to be synced for offline playback without an iPhone nearby. It’s a small but important step in making the Apple Watch more independent and less reliant on the iPhone. If only there was a Spotify app to take advantage of this. Apple is also using the Apple Watch to get into the Student ID game. You can now add Student ID cards to Wallet, and you’ll be able to gain access to places like dorms and libraries, or even pay for things like snacks. The program is rolling out at Duke, University of Alabama and University of Oklahoma this fall, while Johns Hopkins, Santa Clara University and Temple University will get access next year. Other small improvements include an air quality complication and more. Oh, and in honor of Pride month Apple has a new Pride band and watch face for you to enjoy.